You Are Here: Home > What Kind of Incredible Deals Can You Expect for a CPO Vehicle? Shopping for a used vehicle? Well, it may be in your best interest to pursue a certified pre-owned vehicle. Instead of risking money on a potential lemon of a used car, drivers can at least be assured that their CPO should last several years on the road. What does a certified pre-owned vehicle offer? Well, while your standard used vehicle is accompanied by plenty of risks, drivers will receive some reassurance from the CPO route. The CPO vehicle has essentially been backed by a 100-point inspection process, ensuring that every inch of the car is operating to its full potential. These vehicles are usually accompanied by some warranty or protections, so drivers won’t be stuck if the vehicle ends up failing. Plenty of dealerships offer some kind of CPOs, whether they’re backed by the brand or backed by the dealership itself. Strictly speaking, a certified pre-owned Chevy, for example, can only be sold by a Chevy dealer, backed by the manufacturer itself. But, that same Chevy dealer can still sell cars from other automakers that have been inspected and are considered “certified” by that service department. In other words, while it might not be an actual CPO Ford, the model would have undergone serious inspection and met certain requirements, as opposed to a traditional used vehicle, which can be sold in just about any kind of shape. You probably wouldn’t expect to see a three-year-old pre-owned vehicle sitting on a lot for less than $10,000. 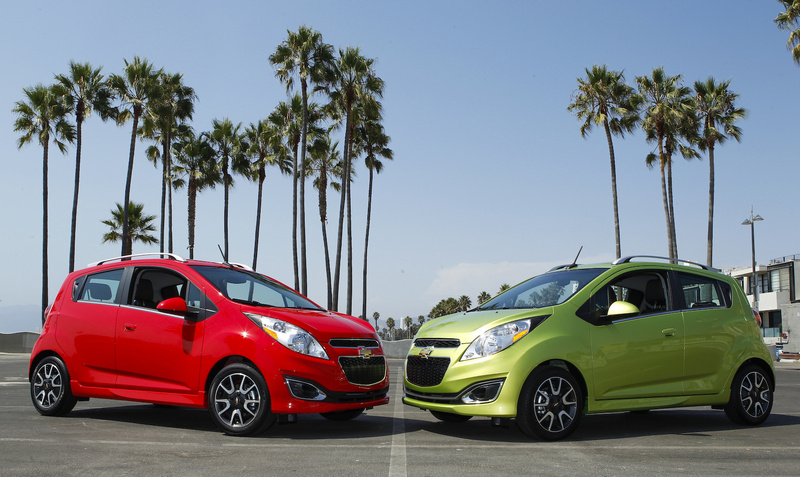 Behold this capable 2013 Chevy Spark, which only has 32,771 miles on the odometer. The vehicle includes the ECOTEC 1.2-liter I4 engine and the brand’s five-speed manual transmission. The system offers several fuel-saving technologies, leading to an excellent 38 highway/32 city-mile per gallon fuel efficiency. The red hatchback has also been driven by only the previous owner, so prospective buyers should all but expect premium performance. The interior is decked out in all of the latest technology, including the brand’s MyLink system and SiriusXM Satellite Radio. The six-speaker sound system will deliver an optimal listening experience, and the USB Port Audio System means you can enjoy your favorite tunes via your smartphone. Another 2013 Chevy makes the list, as this stylish sedan is actually one of the best available deals at DePaula. 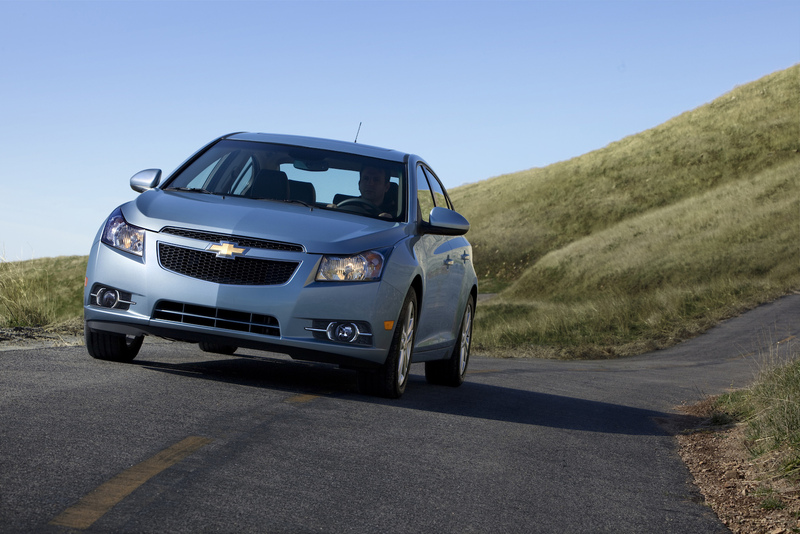 The vehicle only has 30,764 miles on the odometer, and the Cruze should presumably last for at least another decade on the road. The vehicle features the ECOTEC 1.8-liter four-cylinder engine, which pumps out 138 horsepower and 148 pounds-feet of torque. The engine is also incredibly fuel efficient, delivering a 36 highway/25 city mile per gallon economy. The system is accompanied by a six-speed manual transmission (with the much-appreciated ‘Overdrive’ feature). 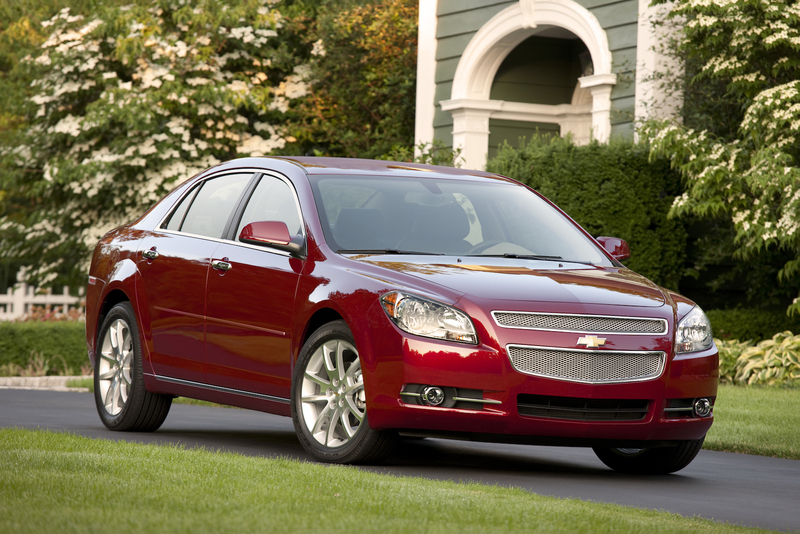 The first 2012 model on our list, the Chevy Malibu is more than capable despite its age. Plus, customers would be hard pressed to find a similar ride for $11,000. This sedan has 66,217 miles on the odometer, but the ECOTEC 2.4-liter engine is surely working at its peak potential. The unit is both powerful and efficient, with the six-speed automatic electronic transmission (with Overdrive) contributing to the 33 highway/22 city mile per gallon fuel efficiency. A number of safety technologies (like the four-wheel disc brakes, traction control, Electronic Stability Control, and speed-sensing steering) will keep the occupants safe and secure. It’s not all about the performance and mechanics. 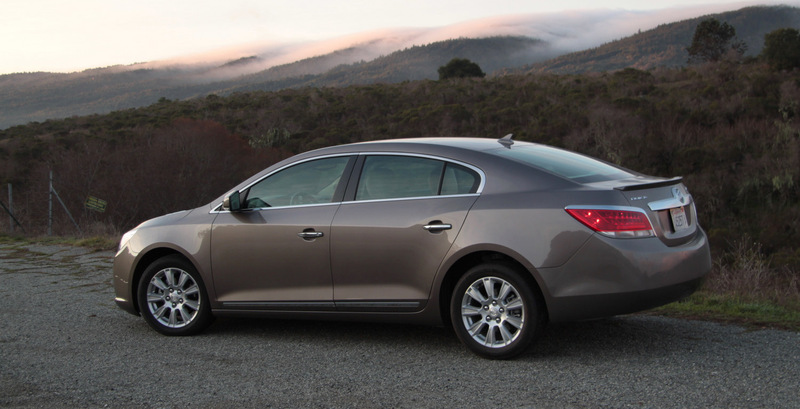 The Malibu is incredibly roomy for a sedan, so passengers won’t have to sacrifice comfort while they’re traveling. The interior is highlighted by the SiriusXM satellite radio and six-speaker sound system, and drivers can also connect their MP3 player to the touchscreen unit. Hey, a non-Chevy made the list! With DePaula focusing on Chevy vehicles, it’s no surprise that the brand’s vehicles flood this dealership’s lot. However, it’s important to remember that DePaula still offers plenty of other company’s vehicles. This sedan may be four years old, but it has a very reasonable 49,682 miles on the odometer. Thanks to the vehicle’s six-speed automatic electronic transmission, drivers should expect a 32 highway/21 city mile per gallon fuel efficiency. The vehicle’s interior is equipped with all of the amenities you’ve come to expect from a recent-year vehicle: a SiriusXM Satellite Radio, an MP3 player, and a six-speed speaker system. Drivers can remain comfortable thanks to the vehicle’s automatic temperature control, and the front dual zone air conditioning means passengers can relax in their optimal temperature level. 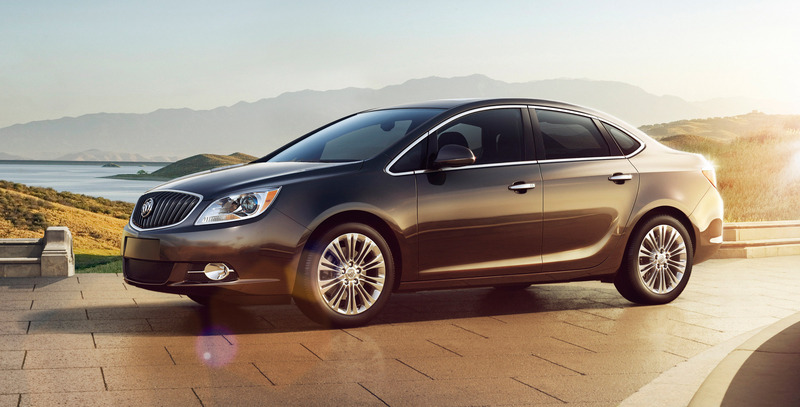 The next non-Chevy on the list is, well, another Buick! Clearly the most luxurious vehicle on this list, the $13,000 price tag is beyond reasonable for this four-year-old vehicle. Sure, the vehicle may have compiled 62,180 miles, but that shouldn’t take away from the ECOTEC 24-liter engine six-speed automatic transmission. The unit is plenty powerful, and drivers can still expect a 36 highway/25 city mile per gallon fuel efficiency. As DePaula’s website notes, this makes the nameplate an excellent choice for a daily commuter, road-trippers… just about any type of driver! The vehicle is also equipped with the Convenience Group, which adds a number of amenities to the vehicle. These include a seven-speaker sound system, the SiriusXM Satellite Radio, and an MP3 decoder. Furthermore, drivers can take advantage of the automatic temperature control, the power driver seat/steering/windows, and the remote keyless entry. Fortunately, it’s extremely easy to start the entire car-buying process via DePaula’s website. Drivers can schedule a test drive, view the car’s history report, and even calculate a logical monthly payment. Furthermore, driver’s can even make an offer, and the website will account for customers’ credit scores, their desired financing timeframe, any applicable trade-ins, and the desired down payment. Essentially, drivers can finalize the purchase from the comfort of their own couch! With CPOs often being a bit pricier than your normal used car, drivers are often willing to take the risk on a potential lemon. However, as you’ve seen above, these manufacturer-backed vehicles are still plenty affordable, and there’s no denying their capabilities. Best of all, if you do run into an issue with this ride, you’ll know that the brand and the dealership has your back. When it comes down to it, why wouldn’t you pursue a CPO?